The Silca T-Handle Folio comes with 10 sliding T-Handles and the very nice Folio Bag we’d mentioned earlier. 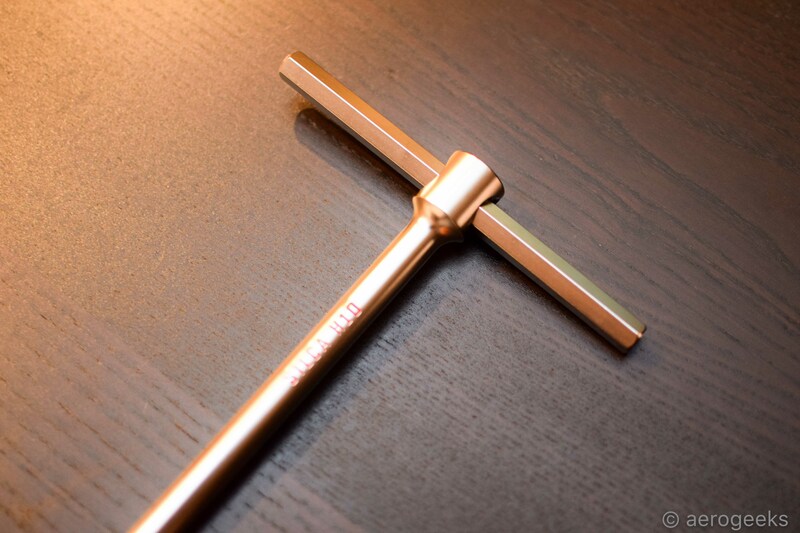 The T-Handles combine fully forged single-piece main bodies (not welded) with sliding, oversized cross members featuring end stops and a center detent to lock the handle in the T position. 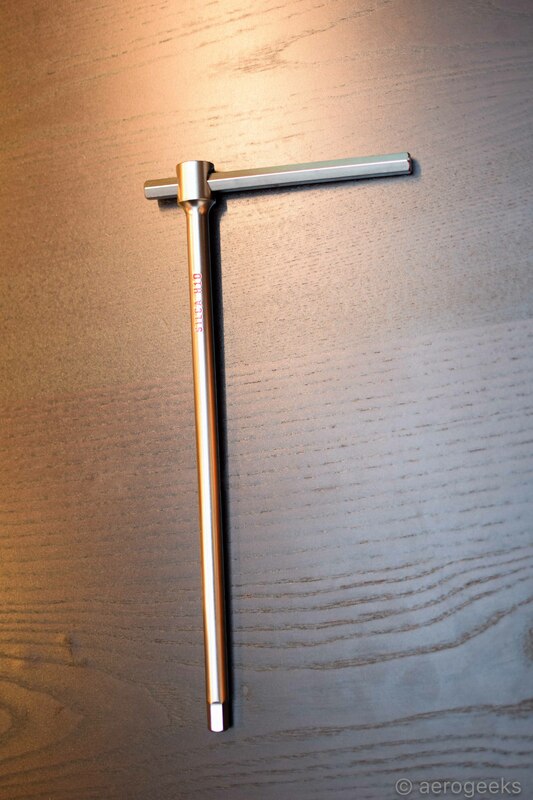 What that means is that each T-Handle can be used either in a T- or L-shaped configuration. The set of 10 contains 2, 2.5, 3, 4, 5, 6, 8, 10mm Hex sliding T-Handle tools and T25, T30 Torx® Sliding T-Handle Tools. For us, this has so far meant that just about every hex bolt we have around AG HQ (except for a few pesky 1.5mm) can be handled by this set. The T-Handle Folio Bag is made from 12 oz. Waxed Duck Canvas, computer quilted with premium reflective thread in the classic Silca diamond knurl pattern, paired with ripstop nylon and ultra-grippy Dupont Hypalon. 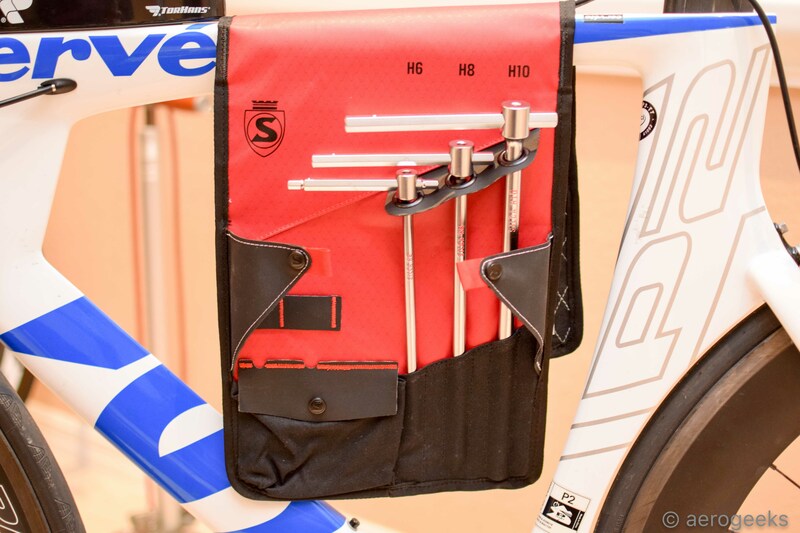 The Premio T-Handle bag is designed for easy transport, and securely drapes over and fastens to any horizontal element such as a top-tube, bike stand, work stand, (even over a car door) to provide a protective and padded tool holder. 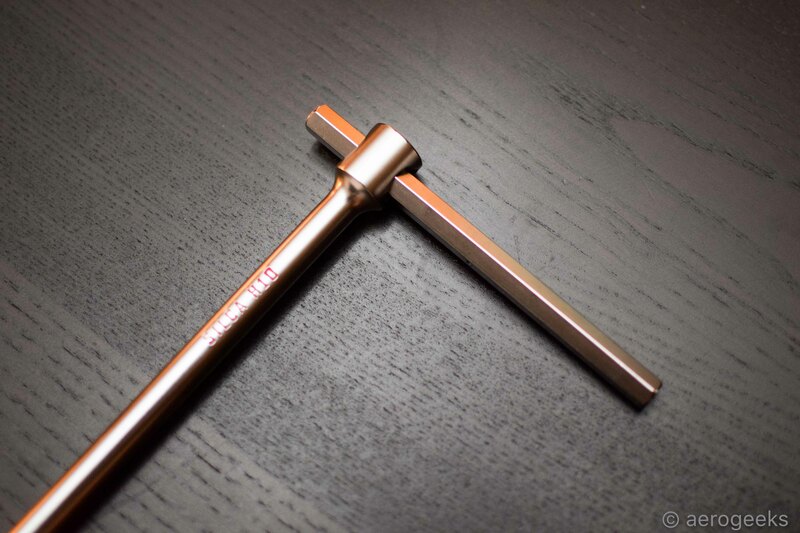 Since the T-Handle Folio has shown up at AeroGeeks HQ, all of our other Allen wrench sets have started to develop a fine layer of dust (including our much-loved Silca HX-One). Not because any of those tools were bad. It’s honestly because the tools in the T-Handle Folio are just that much better. They are near perfectly balanced and shaped. Because they are the sliding variety, we regularly switch them from T- to L-shape depending on the bolt we need to reach and deal with. The detents are strong enough that we have never had the tool slip in use, yet also incredibly easy to readjust on the fly. The Folio Bag is incredibly smartly made. You can see in the pictures we have draped it over our Feedback Sports Sprint Work Stand (review coming soon!). so our tools are always close at hand. The inclusion of T25 and T30 is a huge plus. For those who don’t regularly deal with Torx (most likely because you don’t have Zipp components) this means you can easily handle just about any bolt you find on your bike. But that price… we won’t lie and say these are for everyone. Nope. 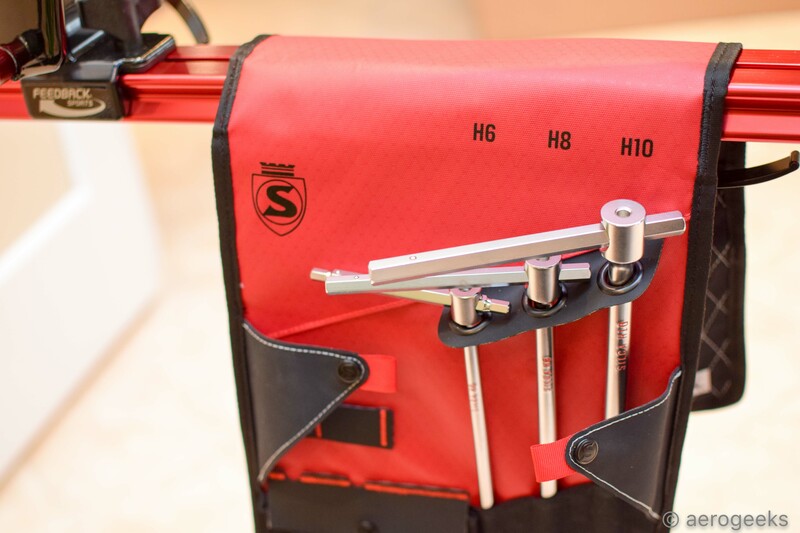 At $185 you can buy the Silca T-Folio OR the first eight T-Handle sets for sale on Amazon (yes, we checked for comparison). But if you look at the scattering of T-Handle sets around the AeroGeeks garage, you will quickly realize that not all tools are created equal. Some truly are meant to last a lifetime (and have the warranties to match). The Silca T-Folio definitely meets that criteria. For those looking for just another set of tools, you are going to pass these by, and we totally get that. 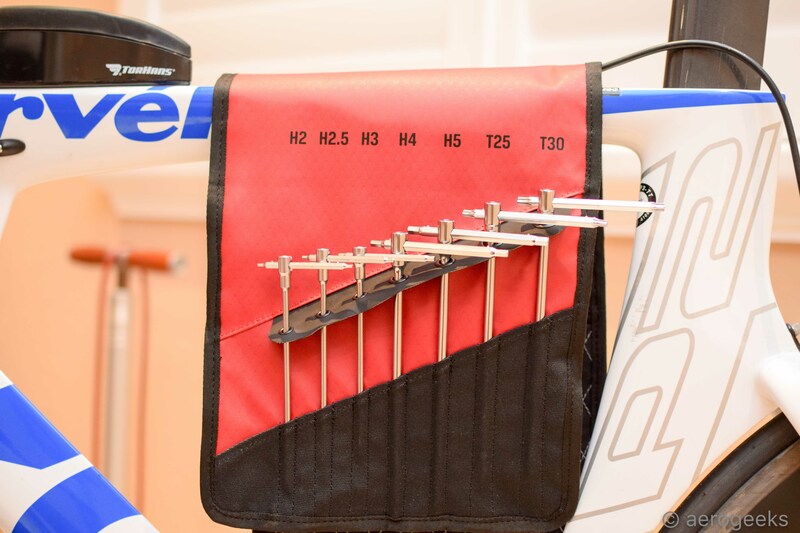 But if you are like us and are grabbing for a 5mm just about every day (or just are looking for that extra special holiday gift for your favorite cyclist), having the right tool for the job is critical. 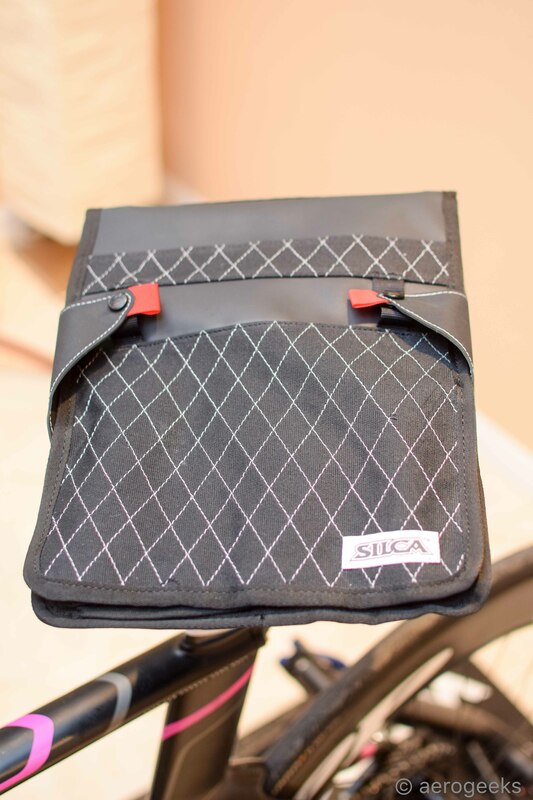 And so far, we haven’t found many better than the T-Handle Folio from Silca.